RR Lyrae stars are a special type of variable star that changes in brightness due to radial pulsations that increase and decrease the radius of the star . 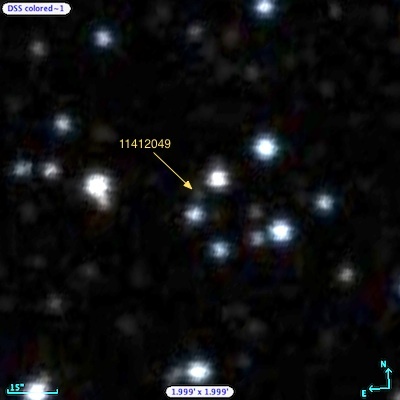 Over the past 3 years, Planet Hunters volunteers on Talk have keenly spotted several previously unknown RR Lyrae stars in the Kepler field, that were nearby neighbors on the CCDs to Kepler targets and were contaminating the photometric aperture used to produce the light curve of the real Kepler target star. You read more about some of these discoveries here. 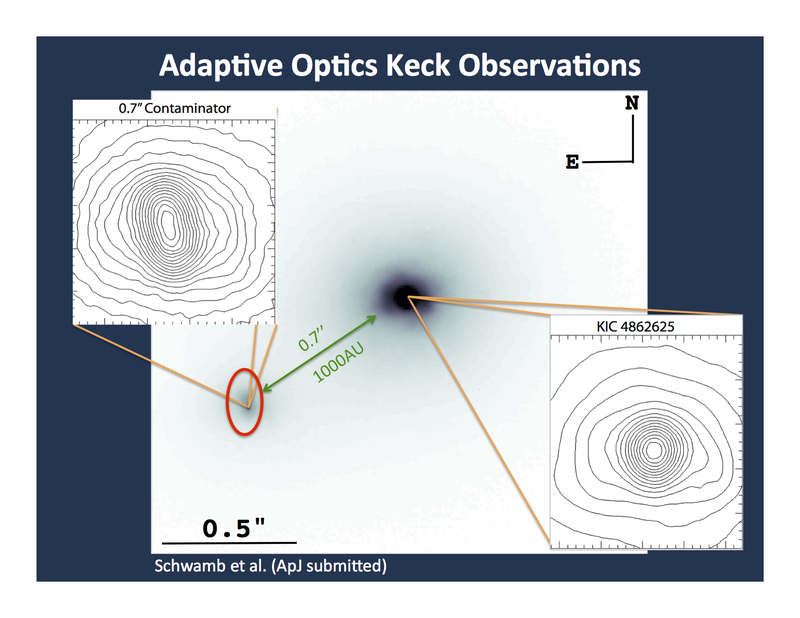 These discoveries have been passed on to collaborators in the Kepler Cepheid & RR Lyrae Working Group who have continued to study those stars including sometimes having the contaminating RR Lyrae added to the Kepler list of targets to get its full light curve. Katrien Kolenberg who is a member of the Kepler Cepheid & RR Lyrae Working Group, recently wrote a chapter for the conference proceedings of the ’40 Years of Variable Stars: A Celebration of Contributions by Horace A. Smith’ Conference’, and she presented a similarly titled talk at the conference this past May. In the chapter, she gives a summary of the science from the now over 55 RR Lyrae stars known in the Kepler field. 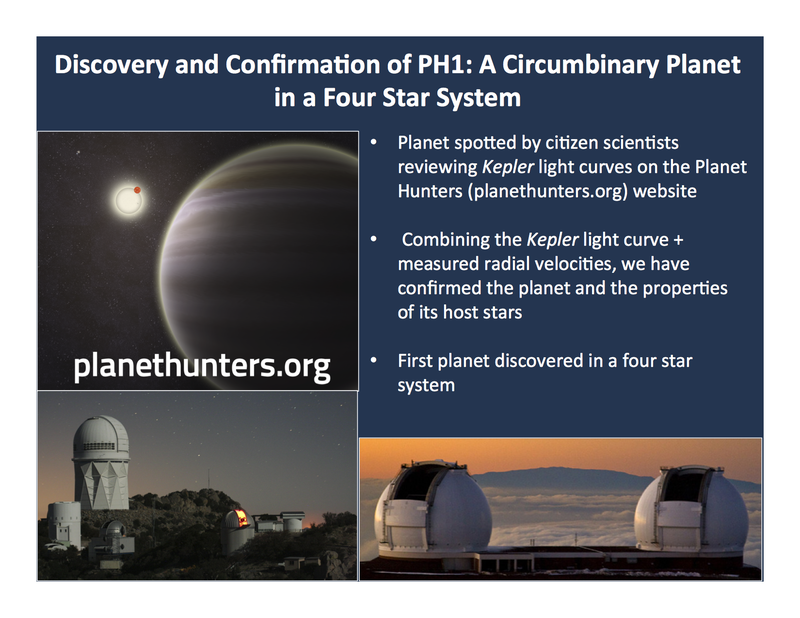 She includes a shout out to Planet Hunters to acknowledge the project’s contribution to discovery. Congratulations to all involved in the RR Lyrae discoveries. You can read the chapter from the conference proceedings here. Today we have a guest post from Willie Torres. Willie is an astronomer the Harvard-Smithsonian Center for Astrophysics (Cambridge, MA), and member of the Kepler team. 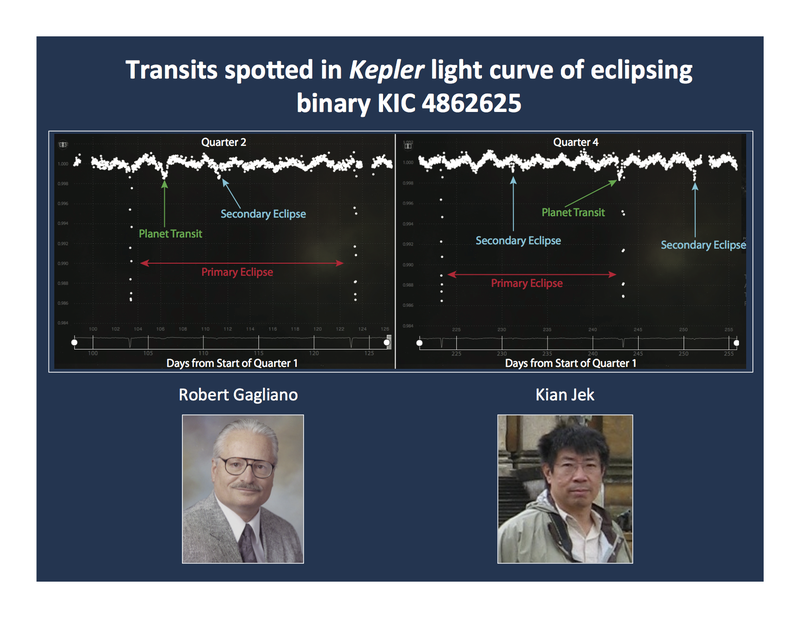 His work for Kepler includes the statistical “validation” of transiting planet candidates that cannot be confirmed in the usual way, that is, by measuring their mass and showing that it is small enough to be a planet. He also works on determining fundamental parameters of stars in eclipsing or astrometric binaries, for testing models of stellar evolution. 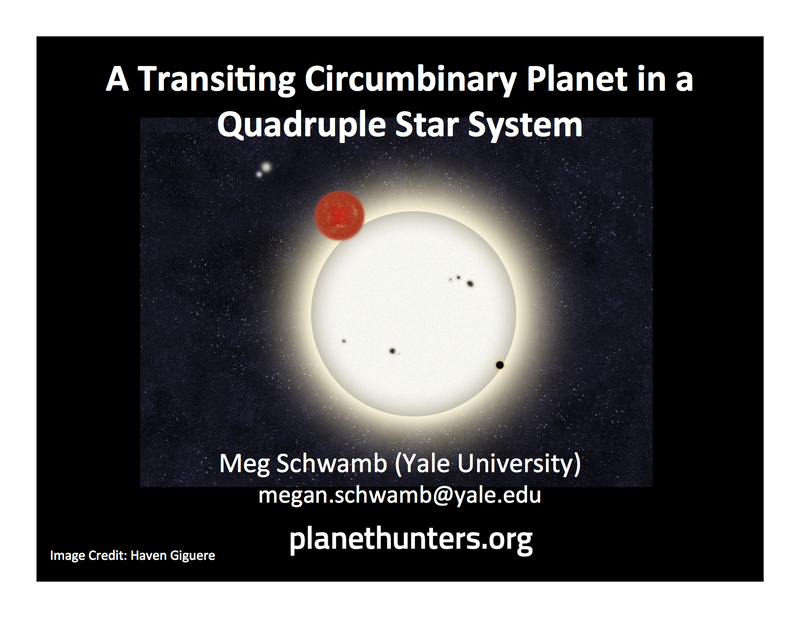 Transiting circumbinary planets are interesting because they show us that planets can form in environments that are very different from our Solar System. 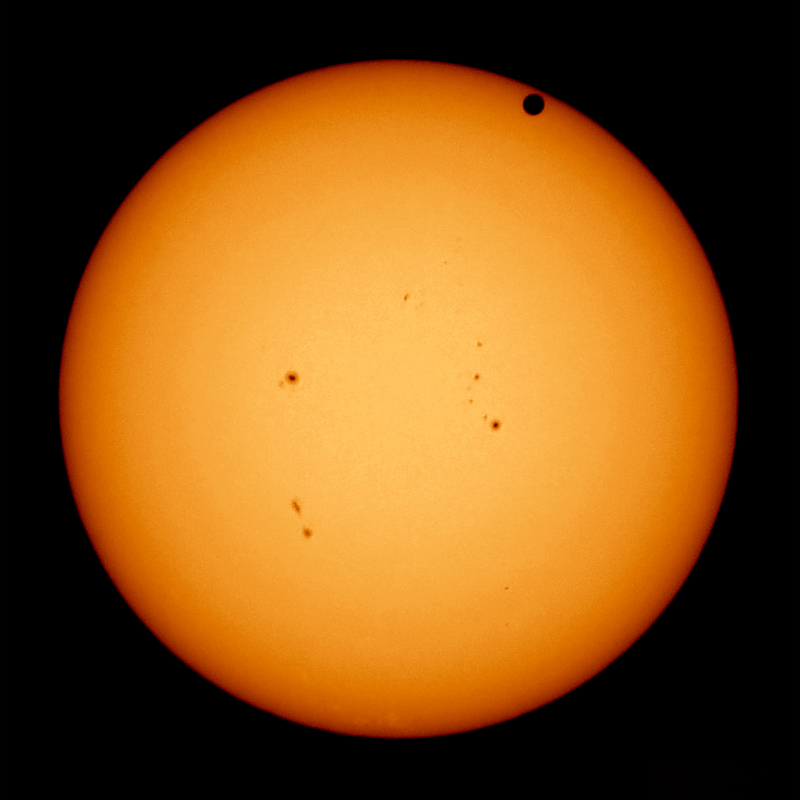 Instead of being a single star, the central object is actually a pair of stars orbiting each other, and in these systems the planet can occasionally pass in front of one or even both stars, producing transit signals. 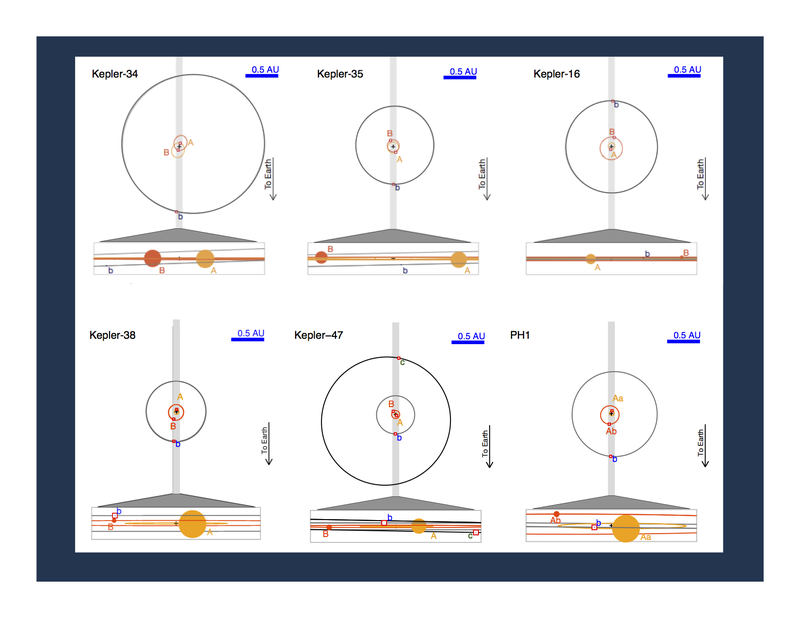 For circumbinary planets such as those the Kepler Mission has announced (Kepler-16, Kepler-34, Kepler-35, Kepler-38, and most recently Kepler-47), the orbit of the two stars is such that they eclipse each other periodically, and these typically deep eclipses are what calls attention to them in the first place, in the light curves produced by Kepler. 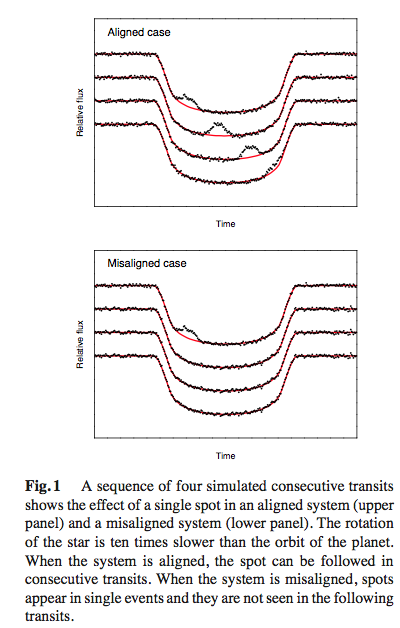 The neat thing about these transiting circumbinary systems is that they can also provide a wealth of information about the stars that is normally not available in regular transiting planet systems with a single host star. Two important stellar properties one can often measure are the masses and radii, from knowledge of the orbit of the stars around each other. 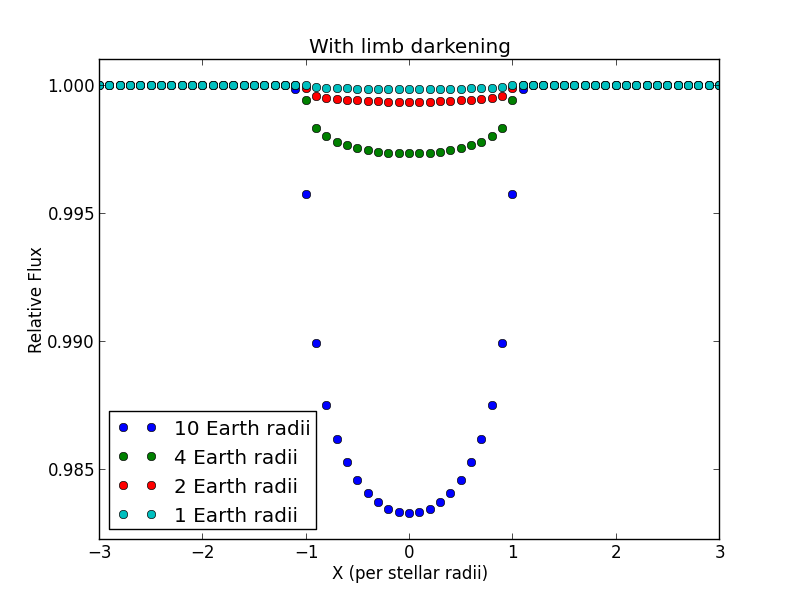 Masses and radii can of course also be determined in favorable eclipsing systems that don’t have planets, but when there is a transiting circumbinary planet, it’s even better. This is not hard to understand: as the planet passes in front of one or both stars, it is actually chasing a moving target because the two stars are revolving around each other. Each time the planet transits, the stars are in a different place in their orbit. 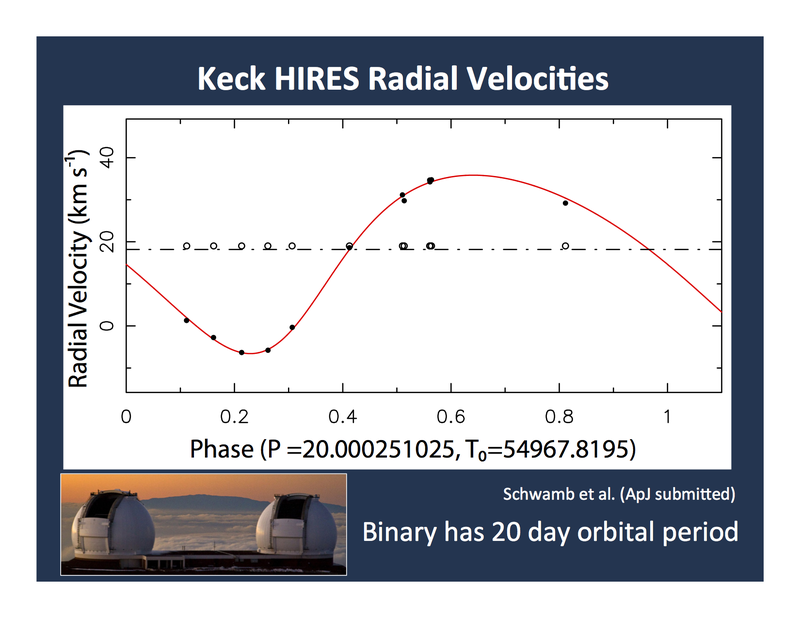 This means that by measuring the precise times of these transits, we are actually mapping the orbit of the binary in a different way than would normally be done for a regular eclipsing binary. This provides extra information about the motion of the stars, and in particular it constrains the ratio of the masses between the two stars very well. It also helps to determine their sizes. Combining this with additional observations such as radial velocities measured from spectra of one or both stars, their masses and radii can be measured to high precision. Astronomers care about the masses and radii of stars because these measurements allow them to test their models of how stars form and evolve. Theorists have come up with a fairly detailed prescription for how a star of a given mass and chemical composition changes its properties (radius, temperature, luminosity, etc.) as time goes by. But without real observations against which to check those predictions, we can’t be sure they’re right. This is important because astronomers often use those same models to infer properties of single stars that are much more difficult to measure directly. Or they may be interested in knowing the age of a star, which also relies on theoretical models. As it turns out, observations have shown that models for low mass stars (such as the cool M dwarfs) are not quite right: real stars tend to be a little bit larger and cooler than the models predict. 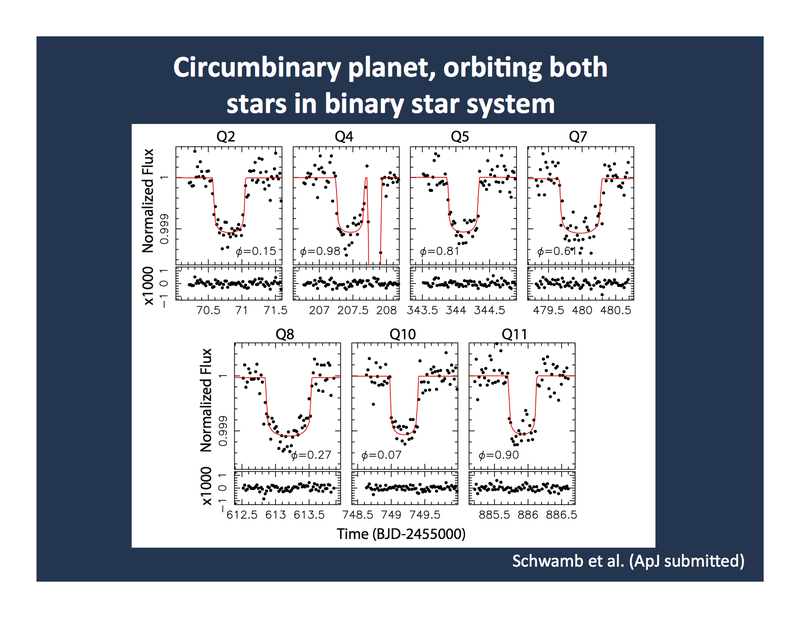 Circumbinary planets in which the eclipsing binary at the center contains an M dwarf are particularly interesting, because they allow us to test theory in this problematic low-mass regime. That happens to be the case for the recent exciting Planet Hunters discovery of KIC 4862625. The primary component in the eclipsing binary is an F star of about 1.3 solar masses, and the secondary is an mid M dwarf a little under 0.4 solar masses. They orbit each other every 20 days. The circumbinary planet goes around every 138 days. With other colleagues I’ve been working on determining the stellar properties of both stars as accurately as possible, and comparing them with several sets of stellar evolution models (since models are not all created equal). For getting the stellar properties we use not only high-quality spectra taken with the 10-meter Keck telescope in Hawaii, but also results from a very sophisticated modeling of the Kepler light curve that can reproduce all the binary eclipses as well as the transits of the circumbinary planet nearly perfectly. This tells us that we at least understand the dynamics of the system pretty well (i.e., how all the objects move). But there are always complications. 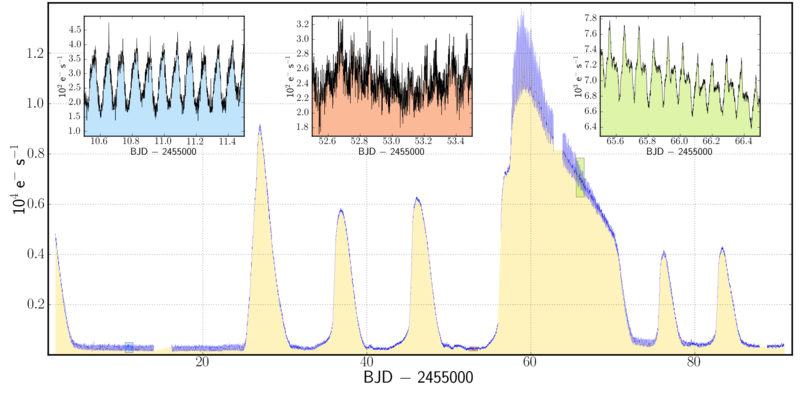 In this case, we took a high-resolution image of the system and discovered that there’s another star right next to eclipsing binary that (we realize now) is introducing contamination in the Kepler light curve. 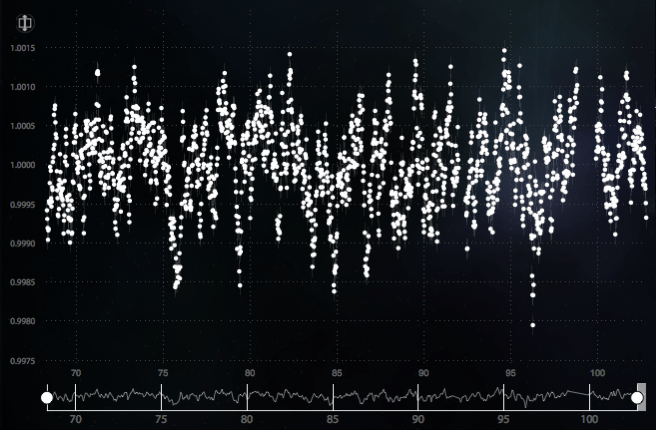 It’s only about 0.7 arcsec away from the eclipsing binary, and we believe it is physically associated. But wait, there’s more! The images show that this companion is actually a close binary itself! 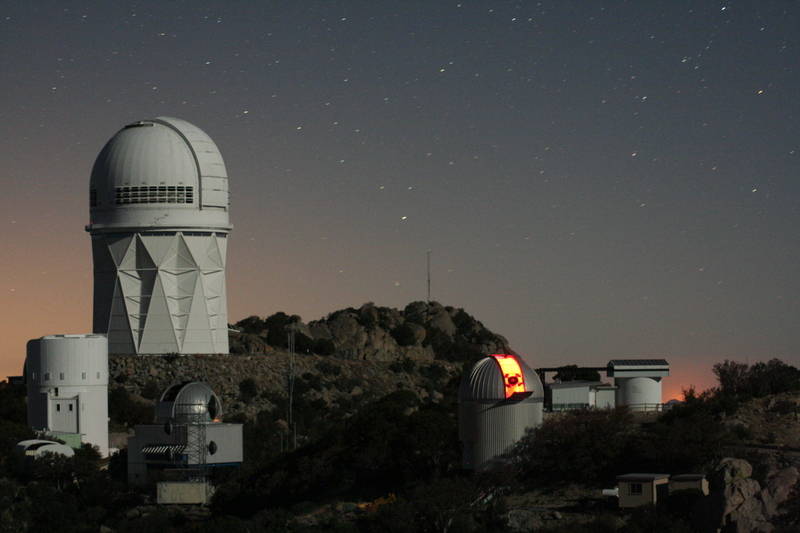 At the time of this writing we are still trying to figure out exactly how much extra light these new objects are contributing to the Kepler photometry, so that we can take that into account in order not to bias the measured properties of the eclipsing binary stars, or of the circumbinary planet. Dwarf novae are binary stars consisting of a white dwarf and main sequence companion. The binary orbit of period a few hours is small enough that the outer atmosphere of the main sequence star is being stripped through gravitational influence by the white dwarf, and gas is falling in a steady stream towards the surface of the white dwarf. The light from the binary stars is dominated not by the stellar components but the accreting material configured around the white dwarf within an accretion disk. The brightness of the accretion disk is coupled strongly to the temperature and density of the disk. Brightness changes over the timescales of a few days and several magnitudes indicate changes in the density and temperature of the disk. 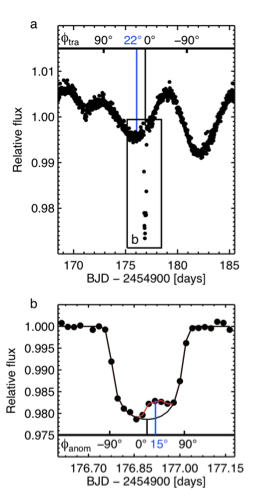 Coherent oscillations in the light curves of dwarf novae on timescales of a few hours indicate the orbital period of the binary and tidally-driven distortions in the accretion disk. To identify dwarf novae, look for targets that brighten by an order of magnitude or more over a few days and decay on a similar timescale. 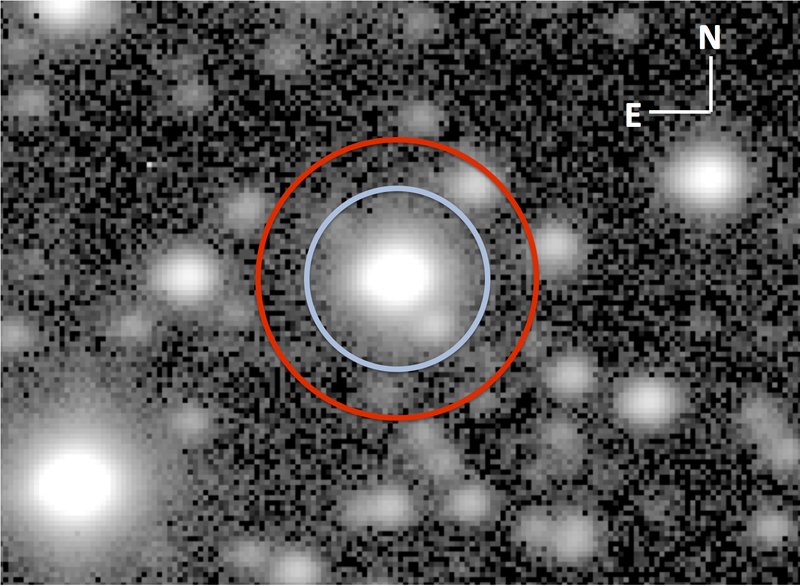 Coherent modulation on periods of a few hours are also expected, but not essential for characterization as a dwarf nova. 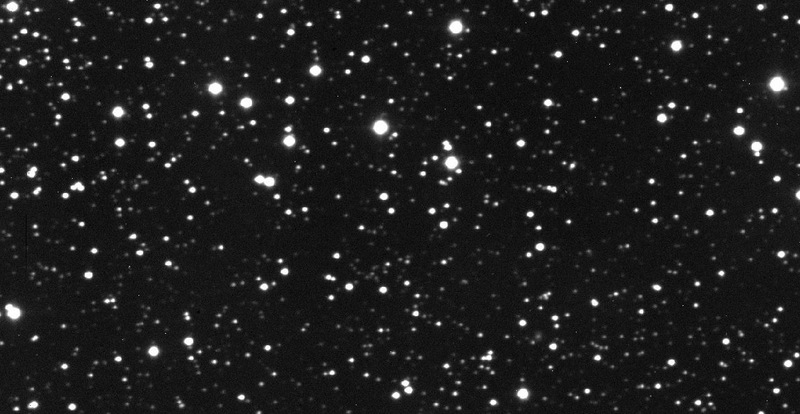 16 dwarf novae are currently known in the Kepler field, perhaps several hundred more are suspected to reside there. 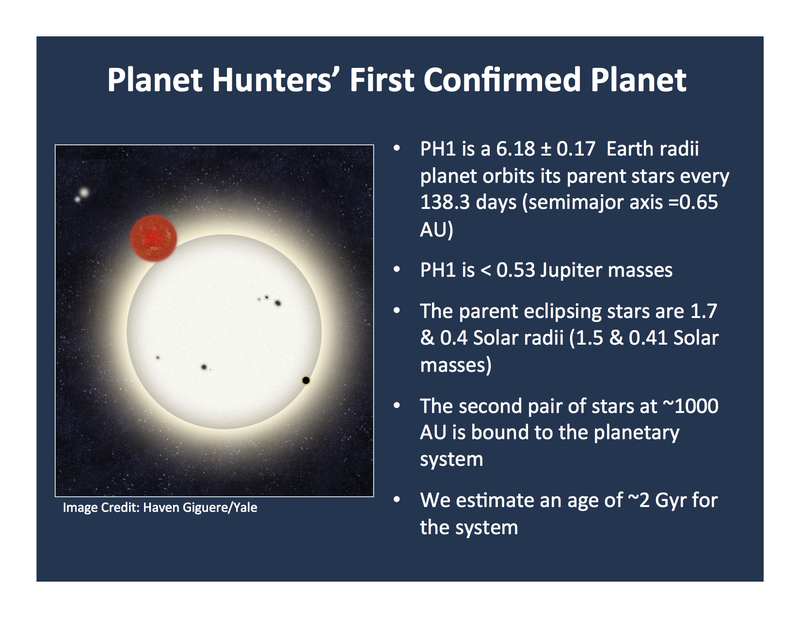 Some of them will be faint, blended background sources behind brighter Kepler targets. Dwarf novae are scientifically important because they are the cleanest objects in the galaxy for studying accretion disks – those structures that surround e.g. active galactic nuclei, cataclysmic variables and symbiotic stars. 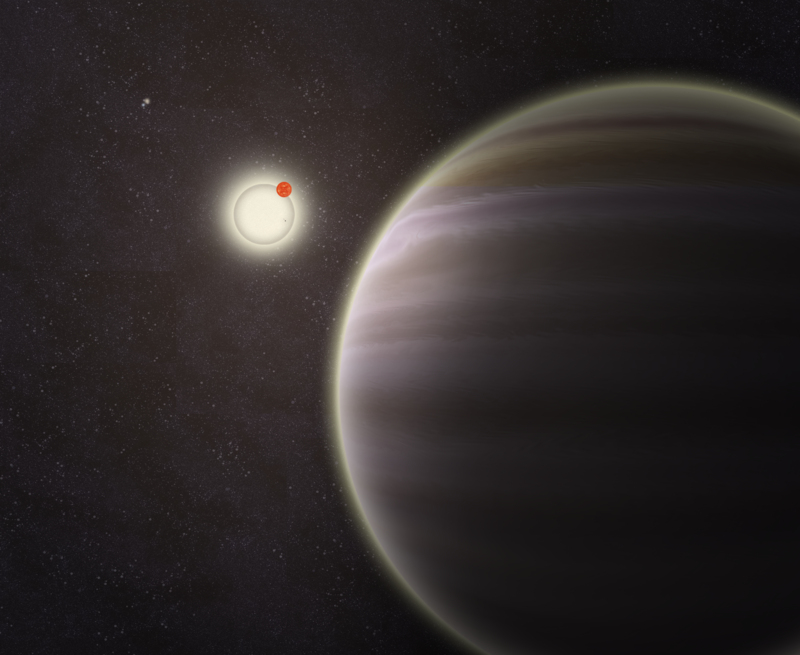 Planets around stars form from similar disks around proto-stars. Without a detailed understanding of accretion disks, the evolution and structure of the universe on many scales cannot be understood. 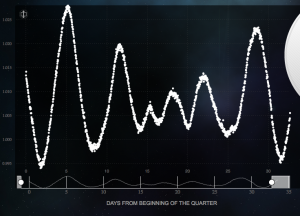 If you spot light curves like these, please post them in Talk here. 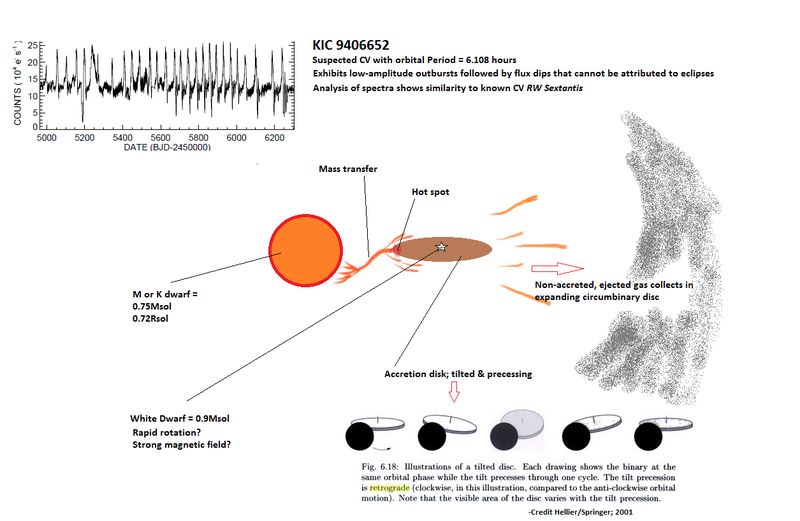 The one above is KIC 4378554 a dwarf novae found and discussed in a recent paper by Barclay et al (2012). I find these stars the hardest to identify transits in. For the example above, I would say there are no transits, and all those dips are due to the natural variability of the star. 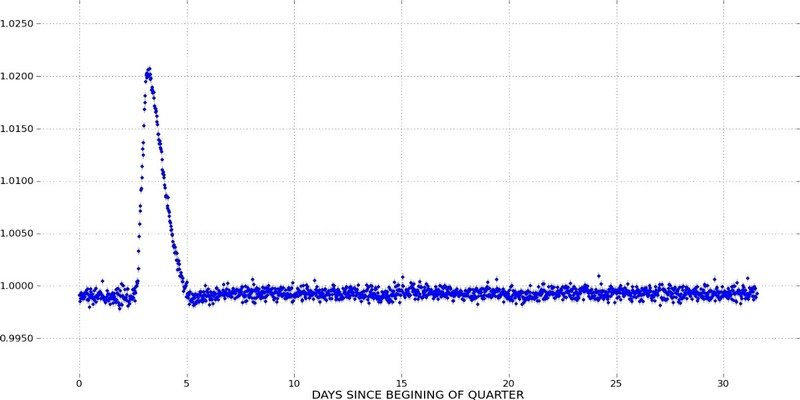 At least one of our current planet candidates is from a pulsator like this, so there can be transit signals in these light curves., They’re just a little harder to spot than the quiet curves. One thing to keep in mind when classifying that may help on these types of curves is that the dip from a transit typically lasts a few hours to ~10 hours, so if you see dips lasting days, those aren’t due to orbiting bodies. But go with your gut, if you think there’s a transit definitely mark it, if it’s real others will mark it too. Want more examples of pulsators? I’ve made a collection of example pulsator light curves in PH Talk that you can peruse.